Wildlife World Zoo, Aquarium & Safari Park is pleased to announce this year’s recipients of its Annual Animal Care & Conservation Awards. Over the past three decades, Wildlife World has contributed tens of thousands of dollars, as well as thousands more as in-kind support and staff expertise to dozens of local, national and international organizations working on habitat restoration and wildlife conservation all over the globe. These financial awards of $1,000 – $10,000 each were created to recognize worthy efforts in field conservation, public display and education and basic research designed to preserve our planet and inspire future generations to care about wildlife and wild places. “Historically, award winners have had a significant connection to species and ecosystems that are integral to our vast collection, such as endangered primates, rhinoceros, tigers, cranes, and African antelope,” said Wildlife World’s Deputy Director, Jack Ewert. As a USDA licensed, private institution, Wildlife World Zoo, Aquarium & Safari Park receives zero taxpayer funding. No tax dollars have ever been spent to build or operate Wildlife World. “We are extremely grateful for over three decades of support from the hundreds of thousands of visitors to Wildlife World each year. Our guests have made our growth and these Animal Care and Conservation Awards possible,” said Wildlife World’s Director & Founder, Mickey Ollson. Marine Mammal Center (marinemammalcenter.org) Our mission is to expand knowledge about marine mammals-their health and that of their ocean environment- and to inspire their global conservation. Our core work is the rescue and rehabilitation of sick and injured marine mammals, supported by state-of-the-art animal care and research facilities, a corps of dedicated volunteers, and an engaged community. Zoological Association of America Wildlife Conservation Fund (ZAA.org) Helping to save endangered species around the world. Together with direct support programs of accredited members, ZAA directs vital conservation dollars to aid in the survival of many keystone species and a number of other threatened or endangered species on all seven continents. The International Crane Foundation (savingcranes.org) Commits to a future where all crane species are secure – a future where people cooperate to protect and restore wild populations and their ecosystems. These efforts sustain the places where cranes live, to the benefit of countless other species. Cheetah Conservation Fund (cheetah.org) Its mission is to be the internationally recognized center of excellence in the conservation of cheetahs and their ecosystems. CCF will work with all stakeholders to develop best practices in research, education, and land use to benefit all species, including people. The Gibbon Conservation Center (gibboncenter.org) Was founded in 1976 in southern California, USA, by the late Alan Richard Mootnick. It is the only facility in the world devoted exclusively to gibbons, an increasingly rare ape. We work for the endangered gibbons’ benefit through conservation, propagation and study, and by teaching people about them. 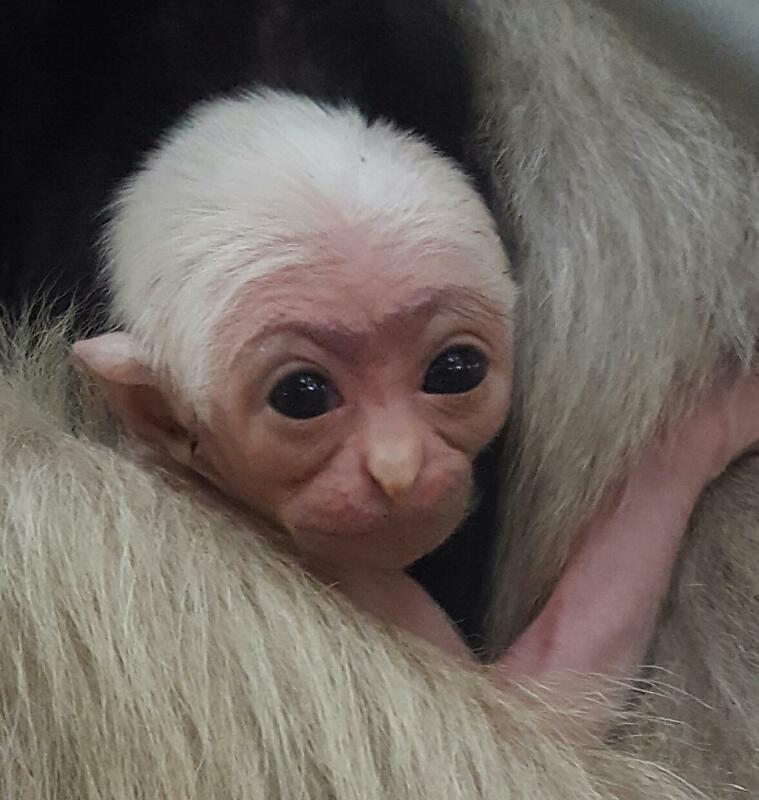 GCC houses nearly 40 gibbons, among them 5 of the 19-living species. The International Rhino Foundation (rhinos-irf.org) Is dedicated to the survival of the world’s rhino species through conservation and research. The IRF provides the technical (scientific, educational, administrative) and financial resources necessary to facilitate the conservation of rhinos. Sahara Conservation Fund (saharaconservation.org) Is a dynamic organization with a unique mission: the conservation of the wildlife of the Sahara and its bordering Sahelian grasslands. Our vision is of a Sahara that is well conserved and where ecological processes function naturally, with plants and animals existing in healthy numbers across their historical range; a Sahara that benefits all its inhabitants and where support for its conservation comes from stakeholders across all sectors of society. The Peninsular Pronghorn Recovery Program (www.endesu.org.mx/desarrollo-sustentable/) The Peninsular Pronghorn Recovery Program is directed by the NGO Espacios Naturals y Dessarrollo Sustenable and leads the most successful & effective conservation effort in the recovery of the Peninsular Pronghorn, an endangered terrestrial mammal. Their dedication has managed to reverse the declining trend in the number of individuals of this unique subspecies in the world and lay the foundation for the sustainable recovery of its original habitat on the Baja California Peninsula. Natural spaces and sustainable development A. C. (ENDESU) was created with the mission of conserving and promoting the sustainable use of natural resources in Mexico, for the value they represent for future generations. Assessment of the Lowland Tapir Population and Habitat Use within the Paraguayan Chaco (http://www.cccipy.org/en/somos.php) Directed by the Chaco Center for Conservation and Research (CCCI) an NGO based in Paraguay. CCCI’s mission is to implement research, projects and programs that promote sustainable development, health and conservation of wildlife species that inhabit or pass through the territory of Paraguay. Act as a center for research of national and international information. Strengthen and improve the system of monitoring and management of protected areas, both public and private. To promote and encourage the establishment of museums and scientific collections in order to preserve and record the biological wealth of Paraguay. To promote opportunities for training of university students and the participation of citizens, private companies and public institutions in the conservation of biodiversity. Support the government and other national or international organizations in their efforts to promote the wellbeing of human and animals and also to support the conservation of biodiversity in Paraguay. Conservation Breeding Specialist Group. (www.cbsg.org) CPSG’s mission is to save threatened species by increasing the effectiveness of conservation efforts worldwide. For over 30 years, we’ve accomplished this by using scientifically sound, collaborative processes that bring together people with diverse perspectives and knowledge to catalyze positive conservation change. We provide species conservation planning expertise to governments, Specialist Groups, zoos and aquariums, and other wildlife organizations. The Zoo Conservation Outreach Group. (ZCOG.org) Founded in 1988, Zoo Conservation Outreach Group is a 501(c)(3) nonprofit coalition of zoos, aquariums, and related partners dedicated to promoting wildlife and habitat conservation throughout the Americas. The group accomplishes its core mission by developing conservation leadership capacity in Latin American zoological institutions and providing direct technical, material, and financial support to collaborative, zoo and aquarium-based conservation programs.